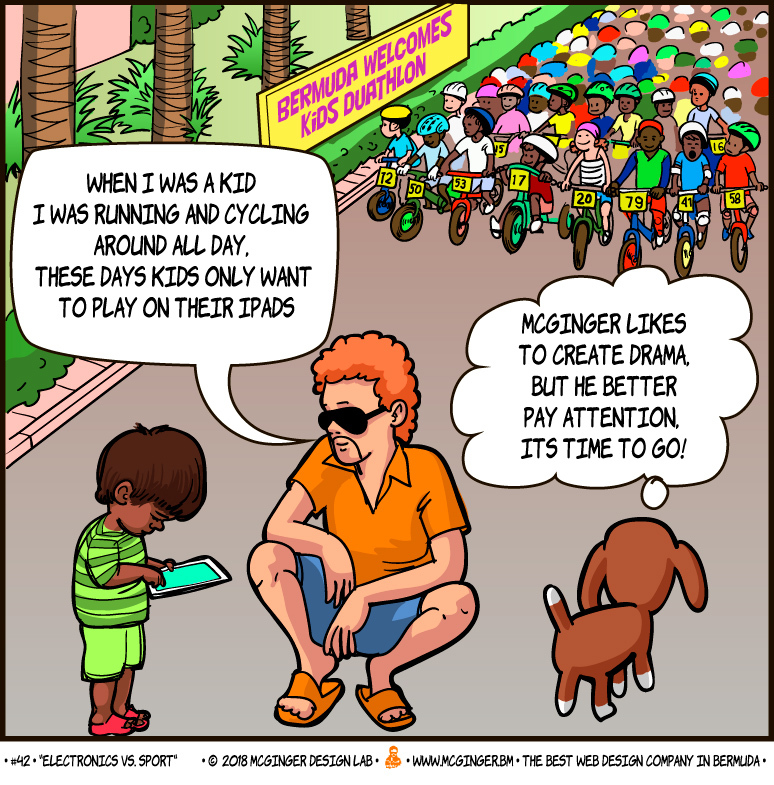 In the eighth of a new comic series from McGinger Design Lab, McGinger notes that McGinger didn’t notice that over 200 kids signed up for the duathlon tonight. His point is that children are only interested in electronics and outdoor sport is old fashioned and will disappear soon. Well, Doggie is happy to prove him wrong; it looks like these big sporting events coming to Bermuda really benefit our youth.